The Dalai Lama’s visit to Mongolia results in predictable Chinese backlash. Diplomatic ties between Mongolia and China are set for a freeze. Bloomberg reported on Saturday that, as anticipated, China has reacted negatively to Mongolia’s decision to allow a visit by the Dalai Lama, Tibet’s spiritual leader, to the country. The Dalai Lama wrapped up a four-day visit to Mongolia on Wednesday. According to the report, China has postponed all bilateral interactions with Mongolia over the Dalai Lama’s visit. The immediate result of the Chinese decision is that upcoming talks on Chinese loans and infrastructure initiatives in the country will not go forward. “The meeting was intended for negotiations on soft loans and the projects on Tavan Tolgoi railroad, a copper plant and coal gasification project. Unfortunately, the Chinese side responded that this visit was unacceptable,’’ Munkh-Orgil Tsend, Mongolia’s foreign minister, told reporters, according to Bloomberg. Mongolia was hoping to conclude a $4.2 billion loan with Beijing to solve short-term spending needs while the country remains mired in an economic recession. 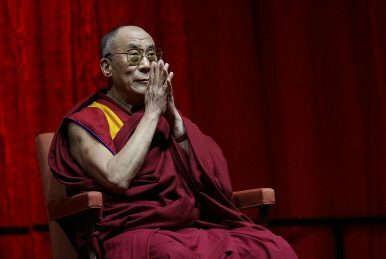 China regards the Dalai Lama, who has lived in permanent exile in India since 1959, as a separatist leader and has strongly retaliated against states willing to so much as allow an unofficial visit by the Tibetan leader. The Mongolian government had not extended a formal invitation to the Dalai Lama for the visit. Instead, he visited the country on a religious visit organized by a monastery. For Mongolia, a freeze in diplomatic ties with one of its two large neighbors — the other being Russia — could prove economically damaging in the short-term. Mongolia has been in a state of economic crisis since August and has sought assistance from the international community, including the International Monetary Fund. Part of the reason for Mongolia’s economic slowdown, after years of growth following a mining boom, is a slump in global commodity prices and the general economic slowdown in China. One final consequence of the Chinese retaliation against Mongolia could be the intensification of anti-Chinese sentiment in the country, which dates back to the Cold War. Location, Location, Location: Ulanbaatar Still in the Running to Host Trump-Kim SummitA Closer Look at Obama’s Trip to China 12 Regions of China: The Tibetan PlateauMongolia’s Military MarvelDoes Tibet's New Governor Signal Change?